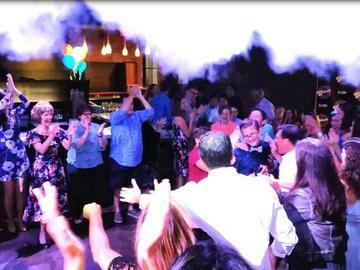 Your one-stop resource for all the event space, services and entertainment you need for the perfect Mitzvah! Taste delicious selections from our very own gourmet chefs and browse custom catering options. Explore our venue's endless Mitzvah possibilities including Victory Sports Bar & Club, that features huge 20' TV screens and premier lighting effects. Network with our preferred vendor partners from Emcees/DJs to favors and decor and much more!